Albuquerque Isotopes fans are invited to join Orbit this Saturday at the Isotopes Park Pro Shop from 10 a.m. until 1 p.m. as the Isotopes will be hosting an Operation Christmas Child toy drive, the world’s largest Christmas project of its kind that uses gift-filled shoeboxes to share God’s love in a tangible way with needy children around the world. Fans are encouraged to bring either a packed shoebox or “shoebox sized” toy (such as a stuffed animal) for donation to Operation Christmas Child. Gifts can include toys, school supplies, non-liquid hygiene items, accessories and a personal note. A $7 donation is needed to help cover the shipping cost for each box. Additional details on how to pack your shoebox can be found at samaritanspurse.org. Since 1993, Samaritan’s Purse has collected and delivered more than 113 million gift-filled shoeboxes to children in over 150 countries through Operation Christmas Child. In 2014, Samaritan’s Purse hopes to collect enough shoebox gifts to reach another 10 million children through the Operation Christmas Child project. Shoebox gifts are collected in the United States, Australia, Austria, Canada, Finland, Germany, Ireland, Japan, New Zealand, Spain, Switzerland, and the United Kingdom. More than 500,000 volunteers worldwide, with more than 100,000 of those in the United States, are involved in collecting, shipping, and distributing shoebox gifts. Dress up in costumes to walk and raise funds to help Connecticut cancer patients. A fun-filled family and team event, sponsored by Panera Bread, hosted by the Connecticut Tigers at Dodd Stadium and supported by 97.7 WCTY and MetroCast…all to benefit the Backus Breast and Cancer Centers through the Connecticut Sports Foundation. Make Halloween a SAFE, FUN and MEANINGFUL event for you, your family and friends! Trick or Treat with us and enjoy free YUMMY food and beverage. 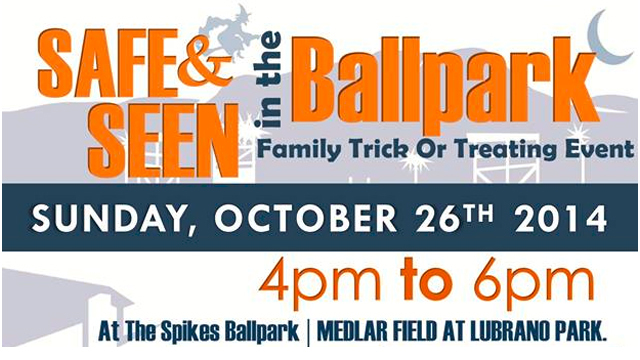 Join in all the family fun with the music of live bands, haunted clubhouse and dugout, pie eating contest, batty cage, cookie and face decorating, and other fun activities. Prizes will be awarded in various categories to those who register for the contest. Costume Contest PRIZES sponsored by MetroCast!!! Create your own Spook-a-thon Team and begin helping Connecticut cancer patients today! Form a team with a minimum of four participants. Each participant goal will be $125.00; team goal will be $500.00. Join now, by clicking the REGISTER button. Enjoy this safe trick-or-treating event!! For six simple fundraising tips, click on Event Information. This article originally appeared on the official website of the . Click here to view the original story. The Bowie Baysox announce today that Louie’s Holiday Hope Project returns to brighten the holiday season for local families in need this year. Beginning now and continuing through the month of November, the team will be accepting nominations for families that need assistance this holiday season. The Baysox will also be collecting gently used coats, new socks and other warm clothing to be donated to area families. Louie’s Holiday Hope Project began in 2007 and touched 13 families with 38 children last year. This year, the team is proud to partner with Prince George’s County Fire/EMS department, the Bowie Police Department and Bowie Youth & Family Services to help as many families as possible. To ensure that the program reaches as many families as possible, the Baysox welcome help from their fans. 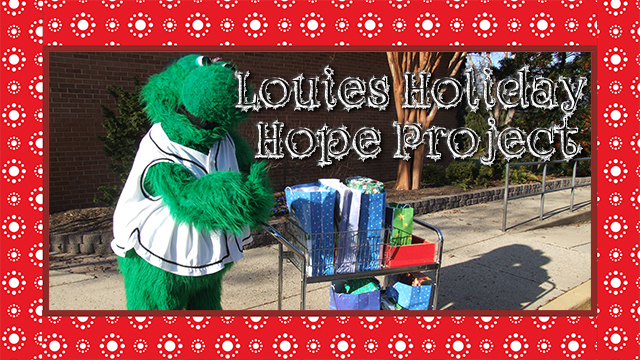 Members of the community can nominate families that need assistance by visiting www.baysox.com and filling out the Louie’s Holiday Hope Project form under the Community tab on the website. The team will not be able to help everyone that is nominated, but will consider as many options as possible. A Baysox staff member may contact the submitter for additional details or clarification, but all submissions remain confidential. Nominations must be received by Friday, Dec. 5, at 5 p.m. Prince George’s Stadium will also serve as a collection point for warm clothes and sock donations in conjunction with Louie’s Holiday Hope Project. The team invites fans to bring gently used winter coats, new socks and other warm clothing to the Baysox front office during regular business hours (Monday-Friday, 9 a.m. to 5 p.m. through Monday, November 24) to donate to local families in need. This article originally appeared on the official website of the Bowie Baysox. Click here to view the original story. 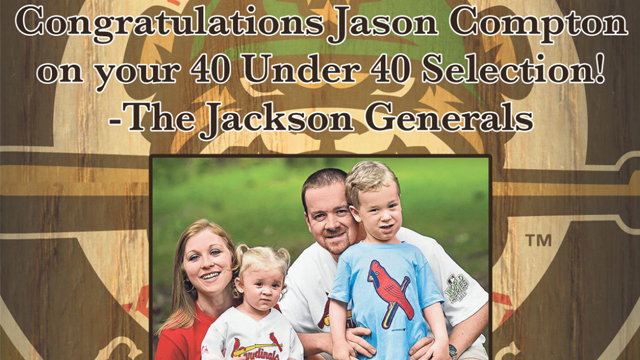 On Sunday, the Jackson Sun and the Jackson Chamber of Commerce recognized 40 people under the age of 40 who are making significant contributions to their industries, their companies or who are active in the community and have a heart and drive to make West Tennessee a better place. The Generals congratulate each award winner and are excited that Generals’ GM Jason Compton was named to the exclusive list. 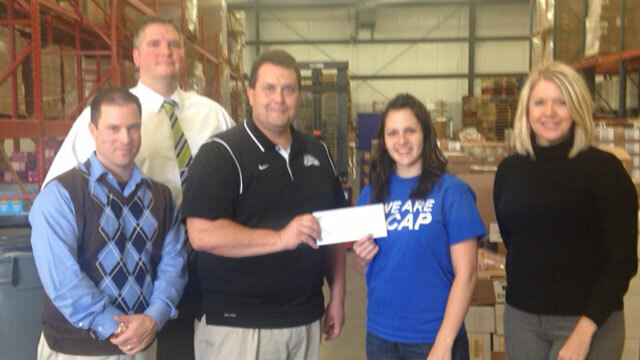 The Cedar Rapids Kernels donated their share of the Midwest League fine money, collected from the 16 MWL clubs, to the HACAP Food Reservoir. As a member of America’s Second Harvest and the National Food Bank Network, the HACAP Food Reservoir distributes donated products to area soup kitchens, pantries, senior & child care centers, drug & alcohol rehabilitation centers and other non-profit food programs that feed the needy. Annually, the HACAP Food Reservoir Programs distribute 2.4 million pounds of food to local organizations and provide 4,000 food boxes to families in need. The Midwest League collects fine money from players and coaches throughout the season when they are ejected from a game, and the total amount collected this season was $8,450 of which the Kernels’ share was $529. The Cedar Rapids Kernels are pleased to support HACAP, a diverse, community-focused non-profit dedicated to empowering and improving the lives of families living with the everyday barriers of poverty. 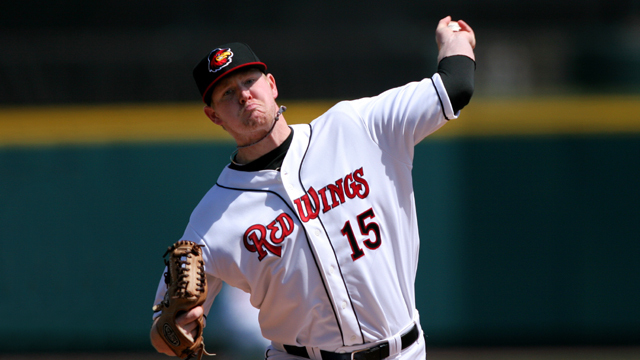 This article originally appeared on the official website of the Cedar Rapids Kernels. Click here to view the original story. Weekend “Dodger Blue” Jerseys To Benefit S.A.F.E. House Domestic Violence Shelter. 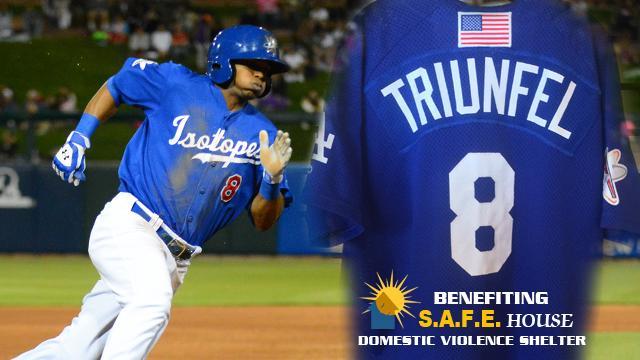 In recognition of “Domestic Violence Awareness Month,” the Albuquerque Isotopes will be auctioning off authentic “Dodger Blue” weekend jerseys with net proceeds benefiting S.A.F.E. House Domestic Violence Shelter. More than 40 game-worn jerseys featuring player nameplates will be auctioned off exclusively online, and an additional 26 authentic jerseys without nameplates will be auctioned. Traditionally donned by Albuquerque during weekend home games, the jersey features “Isotopes” script lettering across the front with the Topes’ “A” logo on the right sleeve and the Los Angeles Dodgers’ “LA” logo on the left sleeve (see photo attached). The Lakewood BlueClaws have upgraded their fundraising program, adding a new option that will enable additional local organizations to raise money through fun nights at FirstEnergy Park. Last year, over 150 organizations partnered with the BlueClaws to raise over $120,000 and with this new program, detailed below, that number should grow significantly. Groups that have particiapted in the BlueClaws Fundraising Program in years past include youth sports teams and leagues, churches, Rotarys, Elks clubs, Kiwanis groups, scout troops, schools, non-profit organizations, and many others. Fundraiser FlexBooks: For the first time this year, the BlueClaws will offer fundraising tickets in a smaller FlexBook, each with five undated vouchers valid at any 2015 BlueClaws home game. Each organization can order a minimum of 25 booklets for $35 each and re-sell them for $55 each, earning $20 per booklet and a minimum of $500. Fundraising partners can volunteer in a BlueClaws concession stand, earning $750 for 20 volunteers. Concession stand nights are subject to availibility. Fundraising partners receive 50-cents back to their organization for each ticket that gets used at their BlueClaws game. 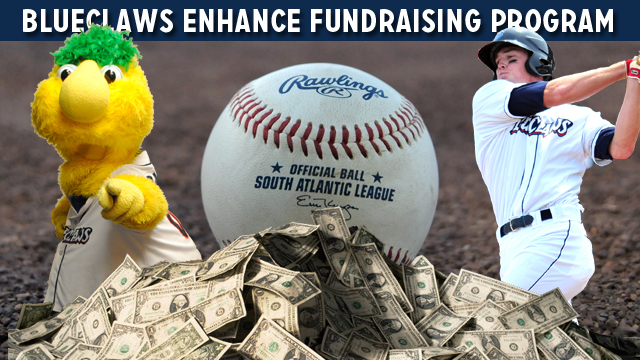 These two benefits are only available to partners that utilize the BlueClaws standard fundraising program and is not open to those that partner through fundraiser FlexBooks. For more information or to become a BlueClaws fundraising partner, please call 732-901-7000 option 3. The BlueClaws are the Jersey Shore’s top stop for affordable, family entertainment. They have led the South Atlantic League in attendance in all 14 years of existence and recently eclipsed the 6-million fan plateau. The Gwinnett Braves have announced the recipient of their $1,000 grant for the month of September. A Child’s Voice Child Advocacy Center, Inc. has been awarded September’s “All About Kids” themed grant, aimed at funding an organization that benefits children. A Child’s Voice CAC, Inc. provides a comprehensive, coordinated response for child victims of sexual abuse or physical abuse and for witnesses to violence, abuse or homicide. The Center partners with Children’s Healthcare of Atlanta to facilitate forensic interviews and medical examinations in a safe, child-friendly environment. Interviews are video-recorded so that children are spared the need to relive traumatic events while valuable, accurate information can be gathered as evidence. The $1,000 grant awarded by the Gwinnett Braves will provide 13 direct forensic and medical services, free of charge, to children and their families in Newton, Walton and surrounding counties. About A Child’s Voice CAC, Inc.: Since seeing their first child in 2009, the Center has shown dedication and commitment to providing the best services possible to the children and families of Newton, Walton and surrounding counties. A Child’s Voice served 190 children in 2013 and expects to serve around 200 children in 2014. For more information, contact Katie Bruner at 770-484-0082 or email kbruner@achildsvoicecac.com. For more information on the Gwinnett Braves Grant Program, including details on how your organization can apply, call Community Relations Coordinator Alison Atkins at 678-277-0346 or email Alison.Atkins@braves.com. 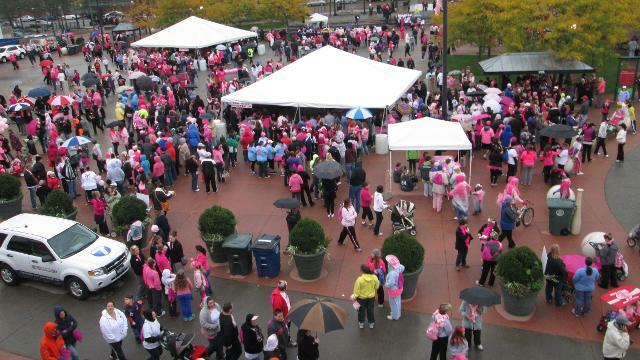 The 2014 Making Strides Against Breast Cancer walk will take place at Fifth Third Field on Saturday, October 18 starting at 8:00 a.m. This event is part of a national fundraising effort. In 2013, over 1 million walkers across the country collected more than $60 million to help fight this disease. Breast cancer is the leading cause of death in women between ages 40 and 55. One in eight women will be diagnosed with breast cancer, and a life is lost to the disease every 14 minutes. And while the breast cancer diagnosis rate has increased, there has been a steady drop in the overall breast cancer death rate since the early 1990’s. The Hickory Crawdads are partnering with Classroom Connections in the month of October to help collect much needed school supplies for area teachers, while giving fans the opportunity to purchase a 2015 Claw Club membership for half price. Fans have until October 31st to donate school supplies for Classroom Connections in exchange for a $19 Claw Club membership, half the normal price. Donations can be dropped off at the Crawdads front office at L.P. Frans Stadium, along with a completed Claw Club Form. Classroom Connections is a store where teachers from schools with high percentages of students with free and reduced lunch can shop for free school supplies. The program works to have a continuous impact on meeting teachers’ needs for classroom materials for every student by supplying classroom resources such as pencils, paper, glue, pens, poster board, notebooks, workbooks, rulers, calculators, graph paper, copy paper etc. At the Sarpy County Chamber of Commerce Annual Awards Banquet at Embassy Suites in La Vista Thursday evening, Omaha Storm Chasers President and General Manager Martie Cordaro was named the 2014 Business Leader of the Year. It was the first such honor for Cordaro, who was unable to be in attendance to personally accept the award with the Pacific Coast League Fall Meetings taking place in Chicago this week. It is the second time in six years an Omaha Royals/Storm Chasers Executive has been named the Business Leader of the Year, as former team President Alan Stein was honored in 2009. The Business Leader of the Year nomination field also included Russ Daub, Margaret White, Dan Zongkers and Tom Greco. Members of the C’s front office staff join Safeway Canada and Salvation Army staff to celebrate another Canadians Thanksgiving in Downtown Vancouver. The Vancouver Canadians Baseball Club in cooperation with Safeway Canada handed out 100 family-sized turkeys on Thursday afternoon to local families in need at The Salvation Army located at 3221 Fraser Street. The Canadians and Safeway Canada have taken pride in working together for the past seven years to continue this community initiative that brings families from all across Vancouver together with a family-sized centerpiece in tie for the holiday weekend. “We are fortunate to have a partner like Safeway Canada who generously donates these family-sized turkeys to families in need. Through the efforts of The Salvation Army, we are able to reach those families from all across Vancouver who would benefit most from this kind of effort,” states Vancouver Canadians Director, Community Relations Jeff Holloway. Since its inception in 2008, the Canadians along with Safeway Canada have donated more than 800 turkeys along with basting trays and cooking instructions to families from all across Vancouver. 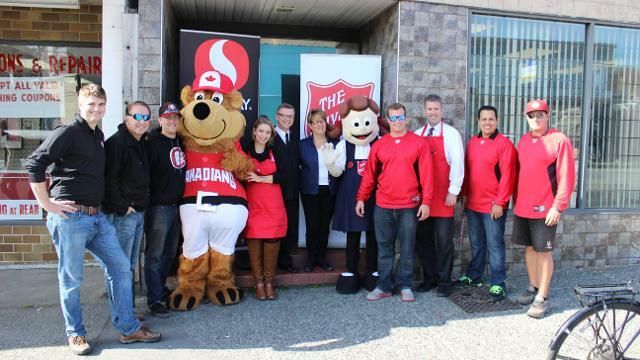 The Vancouver Canadians Baseball Club wishes to thank both Safeway Canada and The Salvation Army for making another ‘Canadians Thanksgiving’ possible and wish everyone a festive holiday weekend. This article originally appeared on the official website of the Vancouver Canadians. Click here to view the original story. 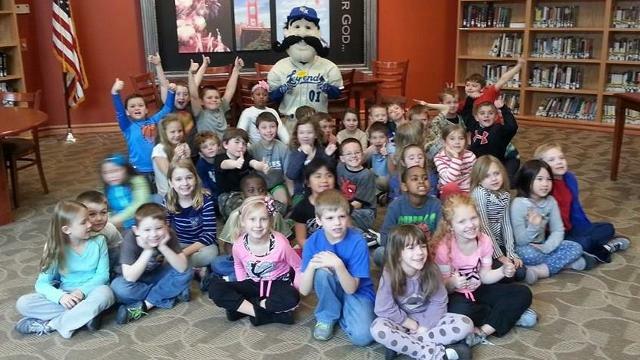 Schools who participate in the Hit the Books program can arrange a guest reader appearance by the Legends’ Big L.
It’s time for elementary schools to “Hit the Books” with the Lexington Legends. Teachers, librarians, media specialists and other educators are encouraged to register with the Legends to get their elementary schools involved in the Hit the Books reading program for the 2014-15 school year. In Hit the Books, a baseball diamond is used to record credit for a student’s reading. For every book a student reads, a teacher places his or her initials on a base. Kindergarten students may participate by having their teachers read four books to them. When the student has all three bases and home plate initialed by the teacher, the student may bring a Hit the Books bookmark to the Legends’ box office at Whitaker Bank Ballpark to exchange it for two tickets to a Legends home game designated for their school. The school with the highest bookmark redemption (based on percentage of enrollment, minimum 50 students) will receive a school-wide reward from the “Hit the Books” sponsor. To begin the process, educators must register with the Legends by November 14 to ensure their school’s participation. Registration information is available at www.lexingtonlegends.com. In addition, the annual bookmark design contest is under way and will run through December 12. The winning student will have his or her artwork featured on the official 2015 Hit the Books bookmark and poster that are distributed to every student participating in the reading program, which runs through March 31, 2015. About 23,000 students participated during the 2013-14 school year. The Lexington Legends and Big L would like to visit any participating school and serve as a guest reader for any class or scheduled Media Center time to encourage students to complete the Hit the Books program and redeem their bookmarks for Legends game tickets. For more information, contact Sarah Bosso at (859) 422-7855. The 2015 season will be the 15th for Legends baseball and also marks the 15th year that the Legends have been associated with Hit the Books. About 195,000 students have participated. The Wilmington Blue Rocks were honored by the Carolina League on Wednesday with the Matt Minker Community Service Award, which goes to the club that best demonstrates an outstanding, on-going commitment to charitable service, support, and leadership within its community. The award is named after the Blue Rocks’ founder, who owned the club until his death in 2007. Minker, whose construction company also built Frawley Stadium, is still the team’s honorary president. It is the first year the title has been awarded to an entire organization, after going to individual players since its inception in 2009. 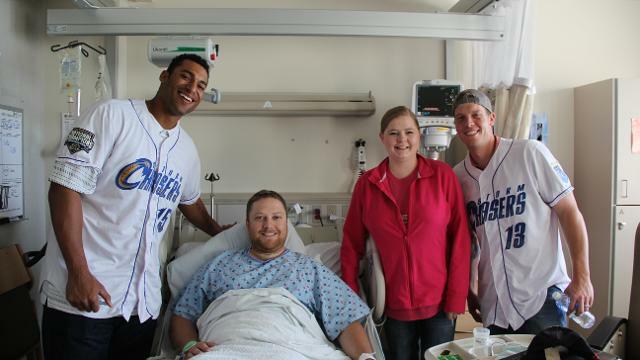 The Blue Rocks won the award thanks in large part to their numerous school programs, charitable endeavors and hospital visits. As an organization the Blue Rocks work with area schools to promote academic achievement (Rocky’s Reading Challenge), citizenship (Outstanding Student Program), and active lifestyles (Titus Sports Champions Physical Health Program). 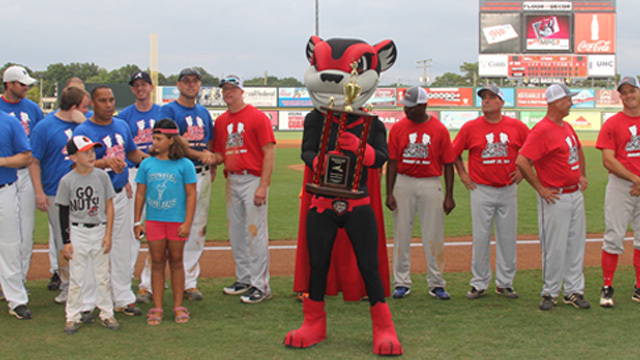 The team helped raise tens of thousands of dollars for good causes through partnerships with Habitat For Humanity, Boys & Girls Clubs of DE, Fight for the Gold, Delaware Breast Cancer Coalition and many other charities in 2014. It also contributed school supplies to the Red Clay School Consolidated School District during the Remax Stuff the Bus Campaign and donated thousands of tickets to other worthy community programs. Several times each season the team also visited the Nemours/Alfred I. duPont Hospital For Children, brightening the spirits of that facility’s patients and their families. 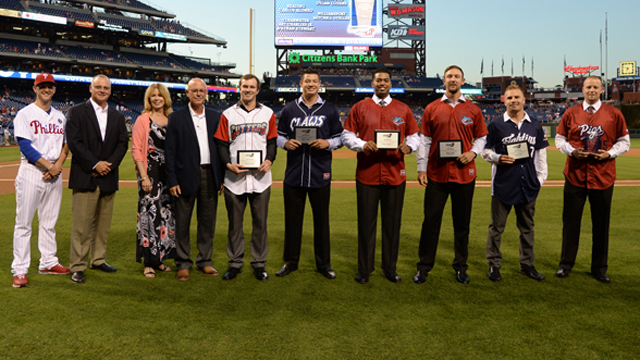 Community service is so engrained within the organization that three of the five times the award was presented to individual players it went to Blue Rocks. 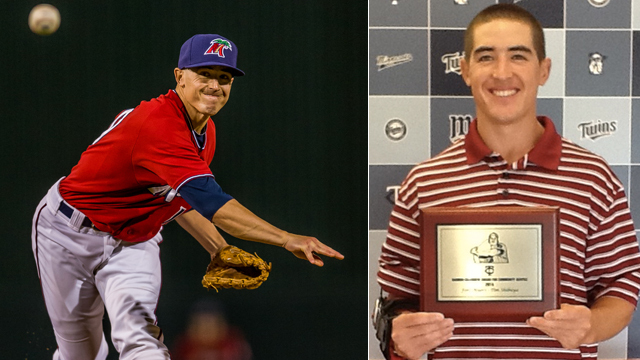 Everett Teaford was the inaugural winner in 2009 and was followed by Tim Melville in 2011 and Whit Merrifield in 2012. As the Carolina League’s recipient of the Matt Minker Award, the Blue Rocks received the eight-team league’s automatic nomination for the John Henry Moss Community Service Award, given out by Minor League Baseball at its annual national convention, to be held this December in San Diego. With temperatures taking a dip and leaves changing color, Halloween is officially approaching us. The Bowling Green Hot Rods will celebrate the spookiest of holidays by holding FUNNER-Ween at Bowling Green Ballpark on Sunday, October 26. The free event will run from 2-4 p.m., and it will include candy, games, costume contests, and more. FUNNER-Ween will begin at 2 p.m. on Sunday, October 26, and the free event will run through 4 p.m. Families are encouraged to dress in their Halloween attire, as there will be costume contests for all people of all ages. Don’t forget your furry friend either, dogs are welcome and there will be a separate contest for pooches. Candy will be handed out to kids in a “trick by seat” format. Season ticket holders are encouraged to enjoy the event from their seat and hand out candy to the youngsters. Pumpkin stencils will be handed out to guests upon entry, and merchandise specials will be available all afternoon. Kids will be able participate in a zombie walk on the field, a candy security checkpoint will be available for safe eating, and Axle’s candy bag dash will give kids the opportunity to win even more candy. The Bowling Green Ballpark concourse will also be filled with more games, a prize wheel, and face painters/balloon artists. Things may get a bit messy when the Halloween cupcake eating contest takes place. The Hot Rods welcome any community organizations and businesses who would like to hand out candy at the event. To get involved, those interested are encouraged to contact Ben Hemmen directly at 270-495-6017, or by email via ben@bghotrods.com. Fifth Third Field will host the Walk to End Alzheimer’s® on Saturday, October 11th. Check-in for the event begins at 8:30 a.m. on October 11. Opening Ceremonies begin at 10:00 a.m. and the walk will start at 10:15 a.m. The Alzheimer’s Association Walk to End Alzheimer’s® is the world’s largest event to raise awareness and funds for Alzheimer’s care, support and research. In 2013, more than 42,000 teams participated in nearly 650 walks across the United States, raising more than $55 million. The Walk provides a means for participants to learn more about Alzheimer’s and become involved in the cause. Each walker may participate in a ceremony to honor those affected by Alzheimer’s. Walkers will also have the opportunity to have team photographs taken. Alzheimer’s is the sixth leading cause of death in the United States. One-out-of-three senior citizens dies of Alzheimer’s. More than 5 million Americans are living with Alzheimer’s. The Dayton Dragons have gone pink during the month of October. In partnership with Kettering Health Network, the Dragons have turned their website pink to support Kettering’s Army of Pink and the upcoming Making Strides Against Breast Cancer walk.